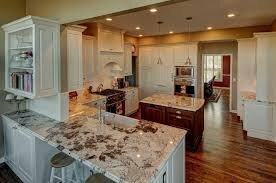 If you have been searching for the best company online who can buy your Colorado Springs house as-is then you will be very excited to learn about our local team of property buyers: HBR Colorado. We are a team of private real estate investing professionals who are based right here in Colorado Springs, and our goal is to help as many people liquidate their properties in the shortest time-frame humanly possible. Feel free to reach out to one of our home buying experts directly at (719)286-0053 for a risk-free, fair cash offer. We can buy your house fast in Colorado Springs, CO and the surrounding areas of El Paso County in as little as one week, and we also cover all of the closing costs throughout the transaction as well. If you have been searching for someone who can buy your house today in its current condition for cash then we are the company that you have been looking for! Feel free to get in touch with us using the form at the bottom of the page or you can also speak to us directly using the live chat box in the lower right-hand corner of the screen. Our home buying specialists can provide you with an instant cash offer on your property in less than five minutes once we have a few basic pieces of information regarding your home such as the address along with the estimated cost of repairs. If you are unable to accurately assess the repairs on your own property, don’t worry! We can have one of our techs come out to your home and take pictures and then report back to us here at the office where we will finish our initial evaluation and come up with our final cash offer. Liquidity. Unlike listing your home on the open market through a licensed real estate agent, when you choose to sell directly to a private house flipping company such as us here at HBR we enable you to get cash out of the deal in as little as one week from signing the purchase and sale agreement. No commissions. Again, when you list your home through a licensed agent there will definitely be some upfront listing fees that you will have to pay, on top of a final commission of 3 – 6% when the sale is done. When you sell directly to a cash investor there are never any fees or commissions, so keep that in mind! No closing costs. Since we are the house flippers who stand to earn a decent profit by rehabbing your property, we feel that it’s only right to pay for 100% of the closing costs on each and every single house that we buy. Compare that with some of the other house buying companies that are out there on the market and you will begin to see the value that we are delivering here to our clients. Sell as-is. Another major benefit of being able to sell your home quickly for cash to a private investment company is that you can sell the property in its current condition without having to put any money into repair costs. Feel free to read more about how we can buy your house as-is by reading this article. Many homeowners are frustrated with the typical process of listing a property on the MLS through a licensed realtor because they end up waiting around for months while the property is shown to prospective buyers and they attempt to get approved for financing. When it’s crunch time and speed is the most important factor in the equation you will need a reliable, trustworthy home buyer who has a proven track record for purchasing homes in the area in one week with their own cash. HBR Colorado is that company and we buy houses in and around the Springs in any condition. Fortunately, investors like us who buy houses as-is fast in Colorado Springs are experienced in dealing with a variety of different situations and issues such as property foreclosure, divorce, job relocation, tax liens, code violations, and other similar circumstances where the benefits of fast cash greatly outweigh any extra cash that would be gained by listing the home on the open market with a licensed real estate agent. Our cash buyers will make you a fair offer in just a few minutes after gathering some very basic information about your home with a few questions. We are real cash buyers who can close fast on any house in the Colorado Springs area, and we cover all closing costs on every single transaction. If you are ready to get a fair cash offer on your property right now then please fill out the form below with your address and other details or you can also give us a call or text directly at (719) 286-0053 to speak with one of our live agents right away.